Judy Wallman, a professional genealogy researcher in southern California , was doing some personal work on her own family tree. She discovered that Congressman Harry Reid's great-great uncle Remus Reid, was hanged for horse stealing and train robbery in Montana in 1889. Both Judy and Harry Reid share this common ancestor. It was only accessible to those with mobile devices. Calgarians. What kind of goals did it come up with and could we ever achieve them? Larry's Comment: My Words exactly as I wrote them. Kudos to the Herald!! Again Just as I wrote it except there is no website addy given. Kudos to the Sun!! it in the scrum, so he could answer more than just the puffball questions being placed before him..
, when I do so once, I am, 'heckling' the Mayor." The Pembina Contract Affair. Oil Sabotage in an Oil City. ***Click Link and go to the 6:00 minute mark to the 8:45 time. Bridget Brown to the Intersection of Mayfair Road and Elbow Dr. S.W. turnout lane and obtrusive curbing to slow traffic down in favor of the Buses. making Calgary more Cars friendly. 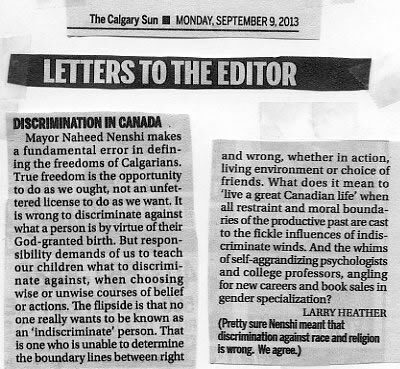 Larry Comments: Could such an attack happen in Calgary at a mall like Chinook. Would our citizens be able to do more than look on like digital gamers or just flee? Should we as Calgarians have training in civic defence in preparation for such events? 'trained' and willing to defend their turf? to Swear in on a Koran? - See City Watch Page of Democracy At Twilight? 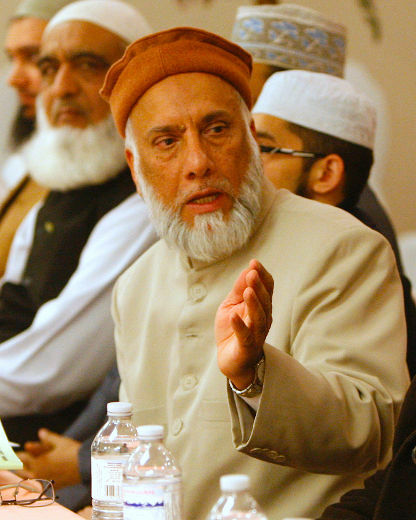 Why the Celebrity Status of 'First Muslim Mayor Of A Major Candadian City'? What void is it filling? Young people see the hypocrisy of a dying cultural neglect of Christianity, the God of our Fathers, and Calgary High School Dropout Damian Clairmont falls victim to jihadism. and fertile ground is occuppied in Calgary by the seemingly exotic. cycle because Men abandoned them and that men should be MEN! and keep the ones who are not here for just economic betterment. Less Radical Muslim sects fail to speak up and are easily leveraged to be silent of what they know. to stop sharing their conversion story with anyone in Canada. faith provisions and demands to bend public school cirricula to fit Muslim belief and practice. Added to this is the Islamist assault on free speech, particularly when it comes to criticism of Islam. Behind it all hovers the forbidding cloud of Sharia." to ignore these statements and not respond accordingly. 2013 New Discovery - Most of Calgary Media Found Trapped in Hollow Steel Drum - It explains why they are reporting only on the echoes of their own voices and staged polls! 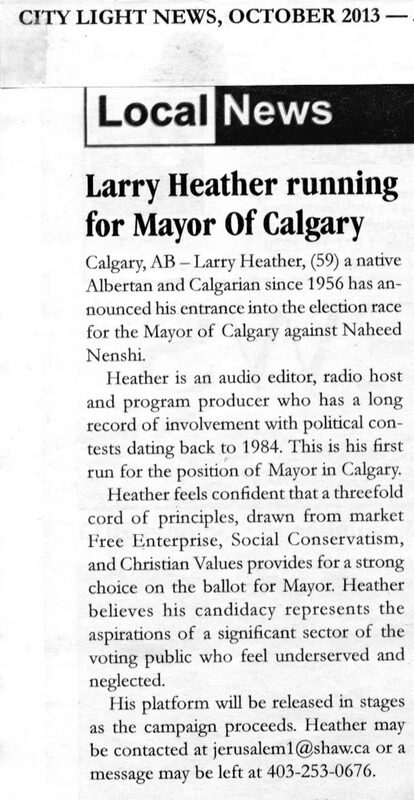 The Calgary Herald fails to give in print any profiles of the other mayoral candidates except Nenshi and Lord. Way to serve your democracy Post Media...? Back to poly sci 101 for you! Freedom of speech - or just selling vicarious thrills?